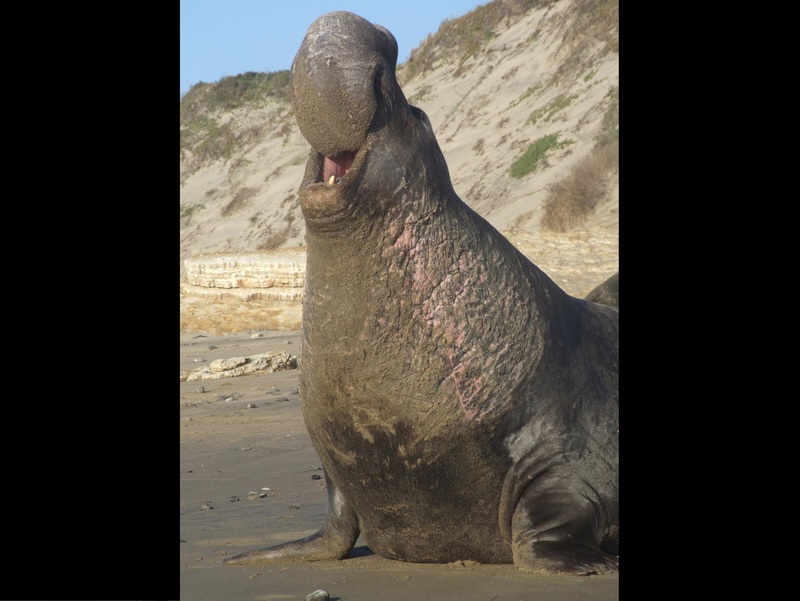 A new study has revealed that northern elephant seals can identify individual animals in their colony based on the rhythm of their calls. Elephant seal in San Mateo, California. After studying an elephant seal colony in Año Nuevo State Park, California for several years, scientists from the Université de Lyon/Saint-Etienne in France discovered that the seals were able to identify individual members of the colony based on the spacing and timing of vocal pulses as well as the vocal tones in their calls. "This is the first natural example where on a daily basis, an animal uses the memory and the perception of rhythm to recognize other members of the population,” said first author Nicolas Mathevon. An experiment was designed to observe the behavior of the colony’s beta males, who retreat upon hearing the call of a more powerful alpha male; conversely, if they heard the call of other beta males and still-weaker peripheral males, they would either ignore or confront them. To simulate the calls, computer-modified alpha male calls were used, with either a sped-up or slowed down tempo, or a shifted pitch range. It was observed that the beta males retreated if the alteration was minute enough to be within the individual variation of a particular alpha male's roar. However, they stayed put when the modification was more extreme. This indicated that the seals were sensitive to both rhythmic and tonal characteristics when identifying potential rivals within the colony. "It is possible that maybe the ability to perceive rhythm is actually very general in animals, but it's extremely important for elephant seals, to the point of survival. Competing for females, the males fight very violently, even to the point of killing one another. So it's very important for them to accurately recognize the voices, to be able to choose the right strategy, to know to avoid a fight with a dominant male, or even to start a fight with an inferior one,” said Mathevon.